The landing page is the first page your customers will see when they enter your store's mobile app, so first impressions are the most critical. This article will cover configuring cells and assigning themes to enhance your brand. There are two components to the landing page. First, are the cell collections displayed to the left which look like figure 1A below. 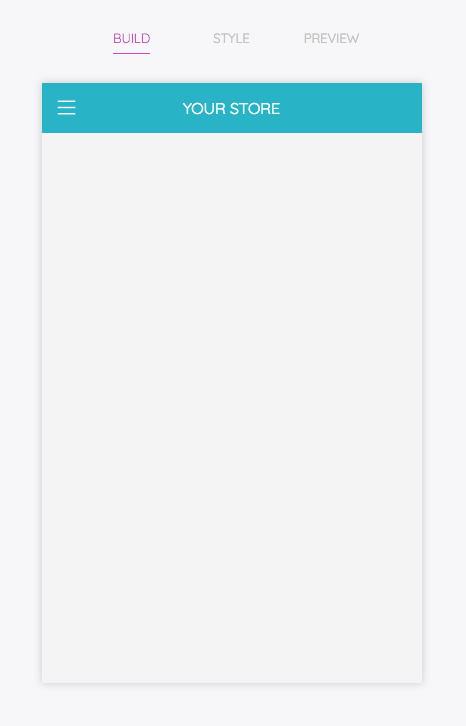 Next is the designer which is a preview of your mobile application as shown in Figure 2A below. To begin designing your application, drag cells from the cell collections to the designer. It is generally recommended to get the cells that you want first and then begin populating them with content. You can re-arrange cells simply by dragging them above or below other cells. To remove a cell, simply drag it off of the designer, and a trash can will popout on the left side of the screen. Hover it over the trash can and wait for it to turn red, then let go of the cell. See Figure 3A. Once your have all of your cells in place, it's time to begin populating them with content! 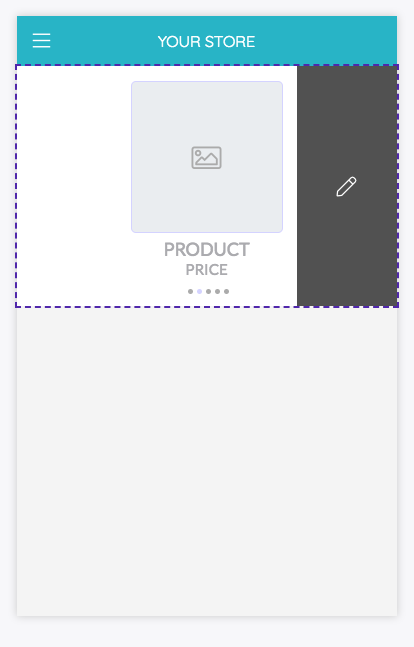 To add or edit content in a cell, simply hover over it on the designer and a pencil will popout which looks like Figure 4A. Click the pencil, the cell will pop out of the designer, the cell's attribute inspector will appear on the right side. Begin editing your cells as you see fit. From the attribute inspector, you can style all components of the cell including text, background and border colors. It's important to note that a cell will not save unless it has been modified with content, so make sure to hit to edit and apply each of your cells. Drobile has smart software which will discard any content that is not valuable to your end users (content that is blank, not filled out, or styled). You can also begin linking to your products from store admin panel. 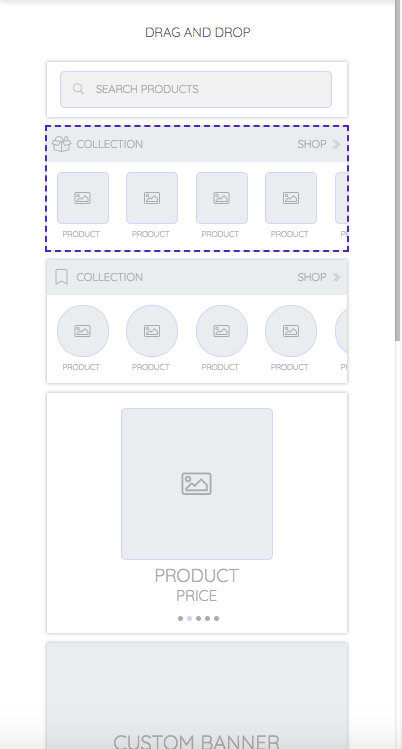 Drobile allows you to select from your collections and import them into the cells. Depending on the cell, you may select an individual product from within your collection as well. See Figure 5A for an example. If you wish to change your product or collection content, you may do so from within your store dashboard, and it will automatically sync to Drobile within a few seconds. Last but not least is theming your mobile application. To switch themes on your mobile application, select the pink paint pallet icon in the lower right hand corner of your screen. A bar with different themes will appear. Simply select a theme, and see if you like the way it appears for your landing page. If you don't like it, you can hit the arrow directly above the theme icon and it will discard the changes. See Figure 6A below. It's important to note that theme selection applies to the current page only. In order to carry a theme throughout the entirety of the mobile application, you will need to goto each section (collections, products, user, cart and search) and apply the same theme. Once you a select a theme, you will be in "Theme Mode" which will carry over to the other pages, but will not apply unless you hit the save button. Feel free to reach out to us if there are any further questions about the landing page. There are also live video tutorials which can be viewed in the tutorials section of your user dashboard and we are always available to chat by clicking the live chat button in the bottom left corner of your screen.